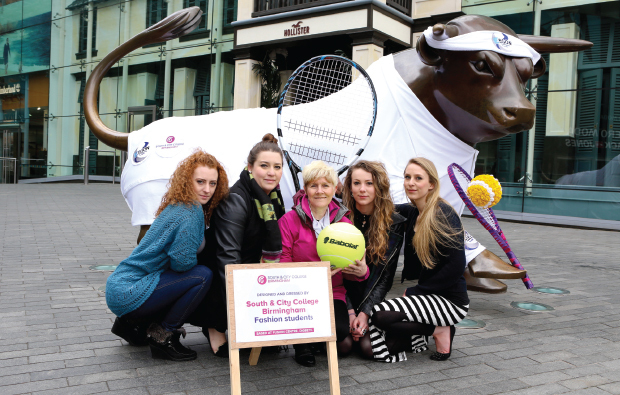 Young designers from Birmingham gave the city centre’s iconic bull statue a tennis makeover in time for the Aegon Classic women’s tennis tournament due to be held in the city just before Wimbledon. South and City College Birmingham HND fashion students Leigh-Anne Rogers, 25, Natalie Segelov, 18, and Minna Watson, 22, spent three weeks creating an outfit of t-shirt, shorts, sweatband and tennis racket. 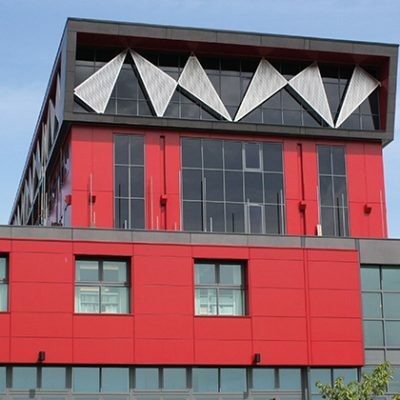 All the fabric for the project was sourced from Birmingham’s Rag Market.